Make sure your business shows up when potential customers are searching for the services that you offer. Even with a professional website, if you aren't visible in search results and on review sites like Yelp then you won't be found. Search Engine Optimization or SEO is the process of generating more traffic to your website by improving your position within search results. It involves a combination of enhancements to your website, such as the content and structure, along with increasing the legitimacy of your site by having other respected sites link back to you. Local SEO is different in that the goal is to drive local customers to your business and not just your website. Your listings on Google My Business and Yelp can generate new business even without a visit to your actual website. 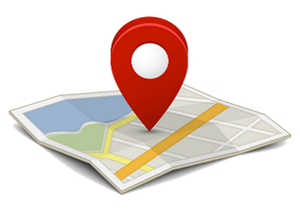 Optimize your Google My Business listing. Claim and update listings on prominent online business directories to ensure all information is consistent. Generate more reviews on influential sites such as Google, Yelp, Facebook and Angie's List. Correctly structure the titles, tags and meta descriptions on your website to better show in Google search results. Setup and configure Google Search Console to submit information to Google and Google Analytics to measure results.